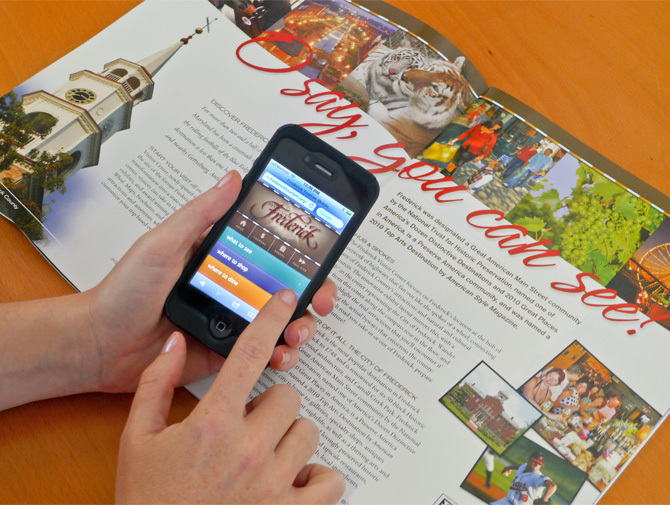 In case you missed the big announcement on Facebook, Jean Peterson Design and our programming partners Orases have designed and developed the new mobile website for the Tourism Council of Frederick County. What to See…Where to Shop…Where to Dine…Where to Stay…Upcoming Events and Coupons too! It's all there for you to easily access from your phone—anytime, anywhere. I am a creative by nature not a manager, but my job requires that I have management skills. 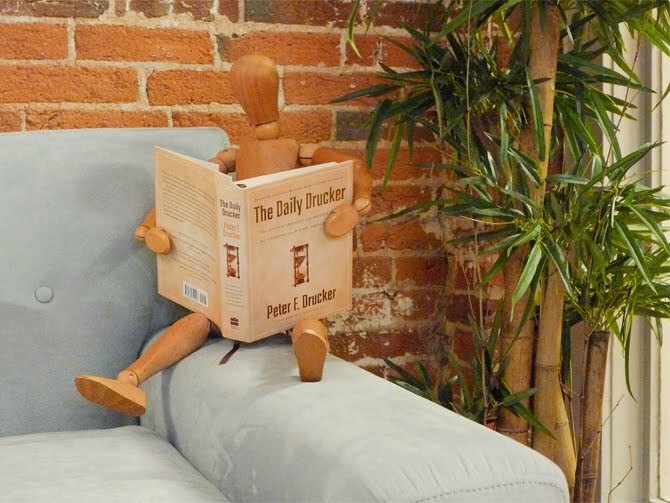 When I took on my role as Art Director and strapped on my management hat, a friend gave me a copy of The Daily Drucker. After a few years of working together, he knew it would be management tips I could digest. Peter Drucker was one of the leading big thinkers on management, and has helped people like former General Electric CEO Jack Welch. Drucker published 39 books and penned a regular column in the Wall Street Journal for 20 years, among many other notable career successes. Some of his recurring themes on management style are decentralization and that employees are assets not liabilities, that taking action without thinking is the cause of failure. Finally, something close to my heart is that a company’s primary responsibility is its customers. Great for my time-challenged days, The Daily Drucker offers up an idea a day, from January 1 through December 31. While the entries do relate as you proceed from the first to the 366th – yup it’s a leap year in this book, you could pick this book up any day of the year, open to any page and have a thought provoking read. Entries are short and concise, most don’t even fill up a complete page of the 5.5 x 7” layout. At the end of each thought is an “action point”. These action points serve as my management to do list, making me this a book I enjoy even more. I have enough things to add to my to do list when it comes to my design work, this book puts my management to do list together for me. Drucker even had enough forethought to leave some space at the bottom of each page for notes. No matter what you do, if you have to manage in business, this book is a great read. I’ll leave you with this thought from the book, “No organization can do better than the people it has.” I would like to give a shout out here to my staff, congratulations on the successes you have had recently, you are a truly talented bunch I admire. 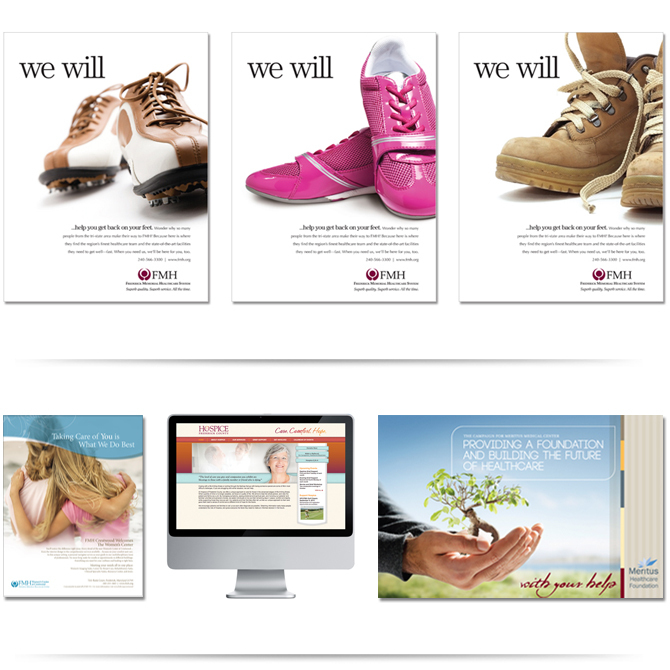 Jean Peterson Design received four honors at the 28th Annual Healthcare Advertising Awards Competition–the oldest, largest and most widely respected healthcare advertising awards competition. JPD received a Gold Award for Frederick Memorial Hospital’s We Will Magazine Campaign and Merit Awards for Frederick Memorial Hospital’s Women’s Care Center at Crestwood Ad, Hospice of Frederick County’s Website and Meritus Healthcare Foundation’s With Your Help Development Brochure. 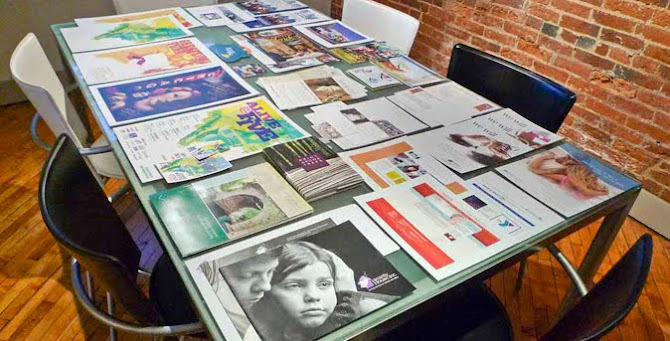 Competing with nearly 4,000 submissions, the entries were evaluated by a national panel of judges who selected winners based on creativity, quality, message effectiveness, consumer appeal, graphic design and overall impact. “We were absolutely thrilled to receive this recognition,” states Jean Peterson. Non-profit organizations don’t usually have the same resources that their for-profit counterparts tend to enjoy. Online marketing opportunities, however, give NPOs an edge because users appreciate the chance to be associated with good causes and are willing to let that affiliation be known. Below are my final recommendations for implementation and analysis actions items that will take awareness of your organization’s goals and needs to the next level. Forrester research’s latest report (January 2011) finds that consumers will spend over $1billion in online transactions for 2011. 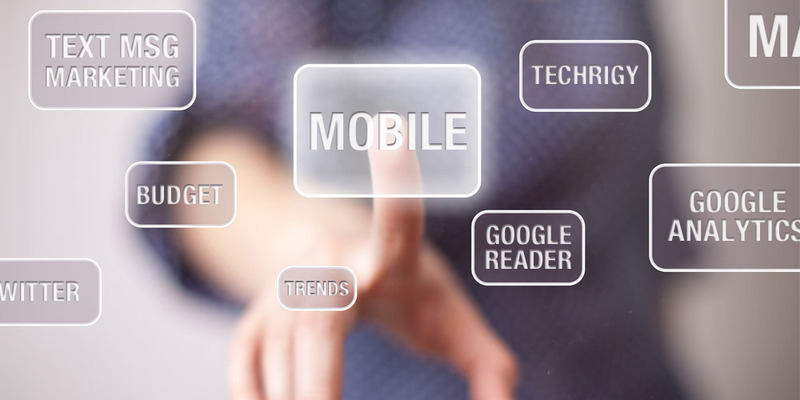 Your website should have a mobile presence that works on the top mobile platforms such as iPhone, Android and Blackberry. In addition to creating a mobile site, text messaging campaigns are becoming the new norm and, in some cases, slowly replacing newsletters. The New York Times stated, via research from a cell-carrier, that 97% of all marketing messages are opened and 83% are opened in the first hour. These statistics are too powerful for any organization to ignore and speak to the need to include this kind of approach in your overall marketing plan. Text-message marketing can be used for events, donations, promotions and even important news updates. Companies like MobiQpons offer great options to start incorporating this strategy. Keep in mind that mobile phone numbers are considered extremely personal and, as such, are well-guarded—more so than email addresses or home phone lines. Make sure your users opt in for this kind of contact and that your organization uses it sparingly. 9) Monitor your brand continually. Google Alerts: email updates of the latest relevant Google results (web, news, etc.) based on your choice of query or topic. Techrigy: A software solution designed specifically for PR and marketing agencies to monitor and measure social media. Google Reader: web-based feed reader to keep up with blogs and news. Twitter: Search Twitter in real time – see what the world is saying right now. Don’t forget that these tools can also help you keep an eye on your competitors and stay current on other industry topics. What you find can provide you with opportunities to plug your organization’s comparative strengths, placing you on a level playing field. I call this reverse brand monitoring and it works like a champ. Once you have built a strategy with all the options detailed above, and have started implementing it, make sure you put methods in place to track and analyze traffic. Google Analytics (GA) is a great tool to help you measure your advertising ROI as well as to track video, social networking sites’ reach and usage of particular applications. Use this free service to build goals in your GA dashboard and send yourself weekly comparison reports of the traffic on your website. By tracking your organization’s and visitors’ activity, you will be able to make better decisions as to where to best spend your organization’s time and direct your online efforts. Whether you use all 10 of the strategies I’ve described or just a few, it is critical that your organization’s effort is sustained over an extended period for the most return on your and our supporters’ time investment. As with any marketing strategy, a steady approach will create the opportunity for a steady following, and ultimately, a steady stream of online conversation about you. And as new online marketing opportunities present themselves—and they will—be flexible and ready to try different methods of reaching out, branding on new platforms, and empowering your users to be your voice on the World Wide Web. 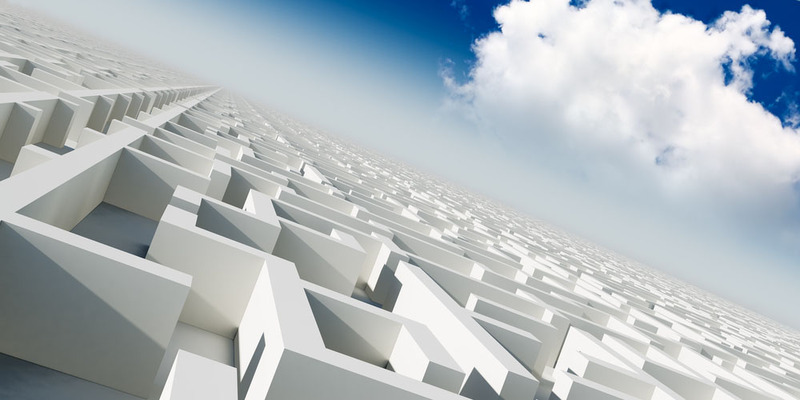 Non-profit organizations continually face an up-hill battle for funding and support. In part 2 of this 3-part series, I share some additional tips on how organizations can connect with their audience and make getting the word out about their cause and needs a lot less dependent on internal resources, and much more enticing and easy for online users to carry out on behalf of their favorite non-profit. 4) Make email newsletter sign-up simple, easy and prominent. Newsletters are key for non-profits to deliver news to members who have opted in for regular updates about the organization. Make sure your sign-up form is simple and easy to you use. The call to action should say “Sign Up” or “Join our Newsletter” instead of the generic “Go” or “Submit” buttons commonly seen. The newsletter area should also tell the user what they are signing up for. For example, a brief description could read “Learn more about our news and events with our monthly online newsletter” or “Keep up to date with our bi-weekly digital newsletter.” We have found that asking for just an email address versus a first name, last name and email will generate more opt-ins. Once the user signs up, direct them to a page that confirms their request to receive the newsletter, thanks them for subscribing, and gives them the option of viewing the current newsletter along with other information about your organization. You could also provide a link so the member can instantly Tweet or share on Facebook about having signed up and can encourage others to do the same. Make sure the font in the text field is large enough to read, so the email is entered correctly. 5) Be consistent and timely. If there is one thing that makes a great website, newsletter, user interface or digital outreach program outstanding, it is consistency. 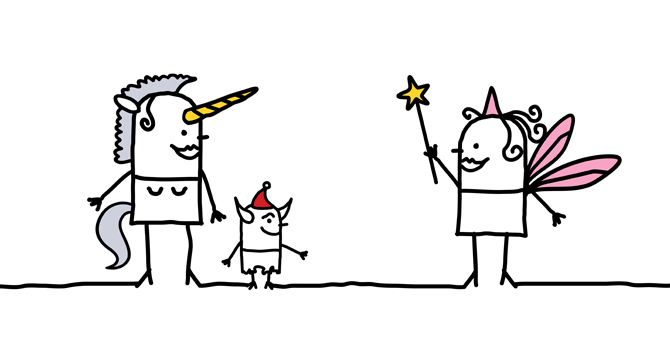 Consistency is critical for users to believe in the organization and build trust. If a user signs up for a monthly newsletter, your organization needs to deliver. If your firm plans to implement a social media strategy, it must be consistent, interactive and ongoing. Most importantly, if you plan on having news and information on your homepage, make sure your news is fresh and not more than two weeks old. Consistency and timely content are critical for making users trust that your non-profit is active and working hard to serve the community. 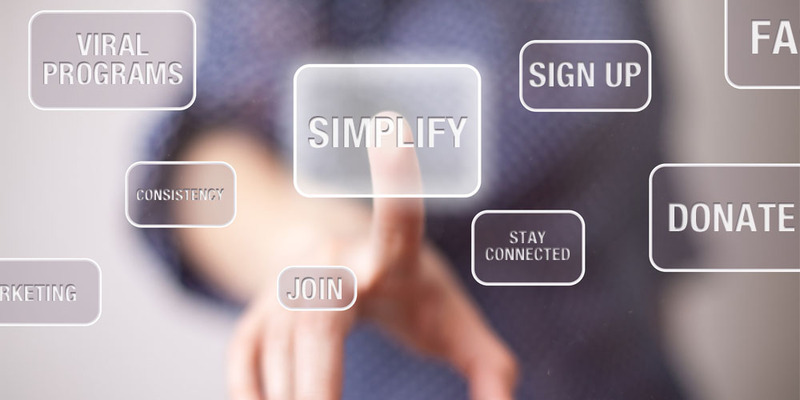 6) Simplify the online donation process. The number 1 request from non-profits is a LARGE donation button. Donation buttons are great, but keep in mind many users still send in checks or want to provide other means of giving a donation. After all, when was the last time your non-profit received a $100,000 donation via a website? What about a person who cannot give financially, but is willing to volunteer time? Make sure your donation page clearly gives your users those options. With that said, always keep the process simple and with as few steps as possible. A user should be able to donate in less than 3 steps. Once a user donates, give the user the opportunity to access Facebook to talk about the donation or link to Twitter to tweet about how s/he supports a particular non-profit. Similar to an endorsement, this will encourage others to donate online knowing that the recommendation to do so came from a familiar and trusted source. Viral programs are a great way to raise awareness about your non-profit. They are a form of marketing in which you use social media to promote your cause by allowing users to easily replicate your message or carry out your requested action, and prompt others to do the same. As stated earlier, brand enthusiasts are great for creating and syndicating content about your non-profit. To create a viral campaign, simply offer a one-click or extremely easy method to help users share information about your non-profit. These programs, for instance, ask users to change their avatar or profile picture on a particular social networking site. Others might place a badge or share button on an engaging story that your non-profit supplies. Whether you are planning on promoting your organization or a particular event, viral programs are a great way to let others spread awareness about you. The web is a great resource that provides organizations with tools that not just reach out, but as discussed above, are tried-and-true means of letting users reach in. In my final post, I’ll look at trends and best practices that will help organizations understand and measure why online marketing efforts pay off. Over the past decade, I have helped numerous non-profit organizations with their online marketing strategy. 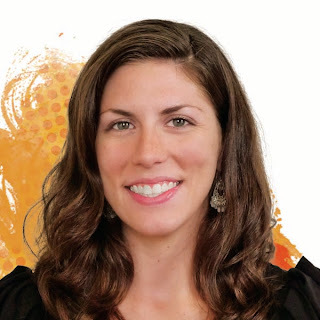 Each non-profit faces different challenges due to their limited budget, staff size and overall understanding of the best use of online marketing. With all the options on the web today, I have put together a list of 10 valuable ways to help non-profits find the means to promote their brand, market their events and, most importantly, encourage online donations to drive revenue. 1) Create a web site that is eye-catching, dynamically built and developed on a strong CMS platform. These days, most non-profits’ need to maintain a strong web presence. As an online hub, non-profit websites have become the center of interaction between the non-profit and its members. Make sure your site is completely branded with the organization’s activities, cause and mission, and leads visitors to the proper call to action. Having a website that is up to date with event information, blogs, tweets, and photography will give visitors an immediate positive first impression. A great Content Management System (CMS) should help syndicate all the information about the organization on all the appropriate pages. 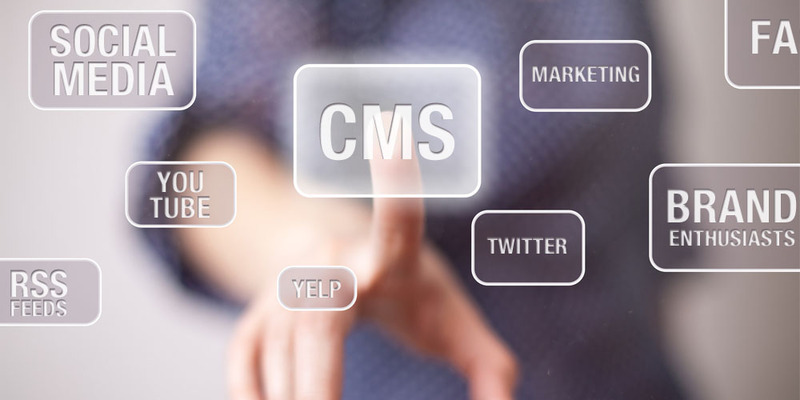 More advanced CMS platforms may even deliver proper information based on the visitor’s clicks and the keywords that drove the visitor to the website in the first place. Always find ways to encourage your visitors to come back by providing the key information that makes your non-profit unique. When choosing a CMS, make sure you put together a list of all the features you want from your CMS instead of choosing one based on name recognition or your developer’s preference. Make sure your staff tests the CMS and finds it easy to use without having to know any programming. Great content management systems should enable syndication easily and allow you to follow the business rules you put in place to sustain your strategy. Your webmaster should just populate the system, thus keeping your cost of ownership very low. 2) Use social media to share what your organization is doing. In order for non-profits to survive and build membership, they must do positive things in the community, which reinforces the notion that it is an organization worth joining. 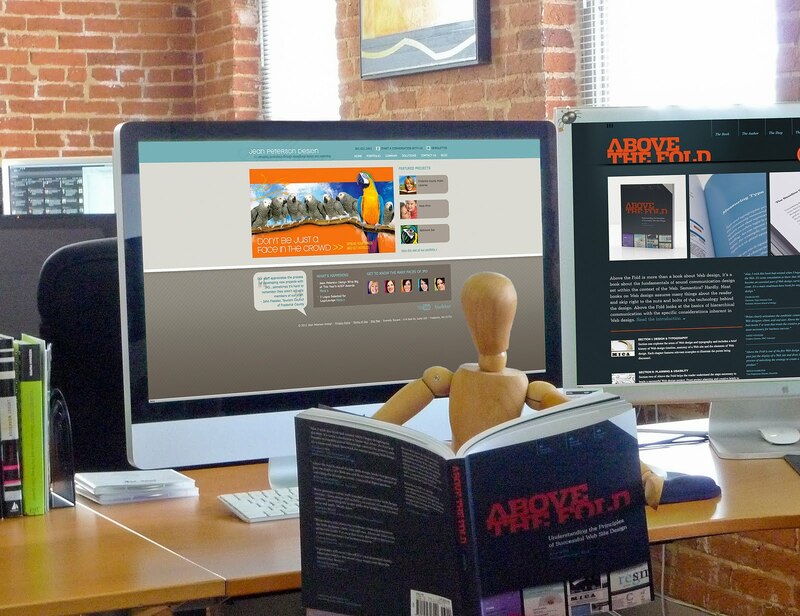 Potential and current members enjoy reading about the results and impact your non-profit is producing. This is especially true if it affects readers directly. Use social media to focus on creating opportunities for these direct connections to flourish, and as a vehicle to build online testimonials and shares via other users. Find ways to spread the word about your non-profit’s work by promoting them on social networking tools like Facebook, Twitter, YouTube, Quora, Google Hotpot, Yelp and other industry websites your users and potential members visit. By sharing your non-profit’s work across different platforms, you increase your odds of reaching out to potential new members. Remember that the key to social networking is not to post blurbs about just your non-profit’s events and news, but to post and share other non-profit’s noteworthy news as well. This will help you build a relationship with that organization, so they will be more willing to spread your non-profit’s news in turn. This is a crucial strategy for all non-profits to follow. 3) Allow brand enthusiasts to become creators. Non-profits have the best brand enthusiasm because members usually have a personal stake in the non-profit’s success. These brand enthusiasts become what we call “creators” because they will define your brand’s voice on the internet. These brand enthusiasts will create blogs, publish personal websites, and even create videos and podcast that will promote news and activities of your organization. The key for the organization is to give brand enthusiasts the proper tools to spread the word on its behalf. Tools such as RSS feeds, widgets, maybe even a connection via an API to specific information will provide brand enthusiasts with the resources they need to convey your message easily. By offering this platform to brand enthusiasts, you are essentially allowing them to become creators for your non-profit. Give your advocates the power to advocate for you! Being a non-profit does not mean being non-proactive. Next week, I’ll share more insight on methods that will help your NPO reach out to online visitors, help them stay connected with your organization easily and effectively, and, in the end, allow your organization to stand out in an ocean of competing interests. If this title tells you anything, I am not a media buyer by training, but I do play one on occasion from 9-5. About three and a half years ago, our client Tourism Council of Frederick County approached us with the proposition of taking over their media buying. It seemed a natural fit since we were managing the delivery of art to the various publications they work with and had been doing so for almost a decade. Media buying isn’t something I thought I would ever do, but since we accepted their proposal, I figured I’d better get organized. This initial thought has been a lifesaver time and again and has provided opportunities on many occasions. Let me explain how. When I first took over the process they had been utilizing an Excel spreadsheet to manage it all. While their sheet was detailed, it just wasn’t detailed enough for my comfort. We explored third-party software that manages media buying processes but they all were just too expensive or didn’t provide the perfect solution. While the Excel spreadsheet isn’t the perfect solution, it is something I have become comfortable with and have expanded their original version to make it a much more robust solution. We store this spreadsheet in the cloud, which allows Tourism to log in and track the process all the way through billing as well. Keeping all this information together has made it easy to book the ads, design the ads and bill them—never missing a beat! And yes, this is one large spreadsheet with multiple sheets all calculating the monthly and annual budgets for a given fiscal year. This organization has paid off in several ways. I can plan in advance for various tasks. I can start the negotiating game with the various outlets and leverage that to my budget’s advantage. And, I can plan my designer’s production schedules and sometimes crank out a month’s worth of ads at one time. Finally, if you have ever booked an ad before, you will know the billing process can sometimes get screwy. By keeping track of the billing and simply indicating something has been paid and invoiced to Tourism plus a couple of other pertinent notes, it is easy for me to determine if something has been double billed or sometimes even completely missed. Stranger things do happen in this world of media buying. Previously, I mentioned that I keep an insertion timeline. This allowed me to see that initially the Tourism advertising year was skewed very much to the spring. Tourism however, wanted their schedule to be a nice balance of early fall advertising, to get travelers out for the fall leaf peaking, and spring advertising, when folks plan their summer vacations. It also showed how much national versus regional promotion I was happening another area that requires a good balance. Over time I was able to correct the seasonal issue and am also working toward a nice balance of national placements supported by a healthy regional and local campaign. An Excel spreadsheet might not be the only solution for keeping track of a media schedule or the best if you have numerous clients to manage, but it has served JPD and our client well. This is the first entry in a series of posts on my experience with Media Buying. Jean Peterson Design, now 15 years young has successfully negotiated the last few years of economic turmoil. Lucky? Oh, lots of hard work, many blessings and of course, the luck of the Irish! On this St. Patrick’s Day, I would like to pay tribute to a graphic designer from Switzerland. No, he wasn’t born in Ireland, but became an Irish citizen in the 60s and subsequently had a tremendous impact on Irish design. His name–Cor Klaasen (1926-1989). Cor who? My question exactly. He was an incredibly prolific book and album cover designer who nurtured many young talents as an esteemed designer and educator. He set the trend in Irish design in the 60s and 70s and was recently honored in an exhibition devoted to his work held during Design Week in Dublin–Cor Klaasen: Jackets, Covers & Sleeves http://corklaasen.squarespace.com/. It introduced the work of this ground breaking designer to a new audience and created an appreciation for quality Irish design from the period. And with this, accolades to Cor and his work and to the decades of Irish students who were fortunate enough to have the luck of being touched by such a talented and giving mentor who enabled them to share his vision with the rest of us. He is a true measure of what we should aspire to–sharing your time and your talent with others around you. So, from all of us at Jean Peterson Design-O’Peterson, O’Dorr, O’McPherson, O’Gorham and O’Tinney, we wish you too, the luck of the Irish. Today, we are all Irish. Erin Go Bragh! Sounds like the perfect choice for 2011. But, who, and what, exactly is Pantone? How do they know what colors to choose? And how do they know these colors will be sweeping runways, gracing magazines covers, and influencing interior design? To this day Pantone is the color language standard worldwide, from designer through to the customer. Designers use Pantone color guides specific to their industry to research and select colors. mydesignshop.com is currently hosting a sale on a wide selection of Pantone color guides, through March 31st. This is the perfect time to update your old guides or purchase a set for the first time. And if that’s not enough color for you, visit the Pantone Hotel in Belgium. To learn all about Pantone, the Pantone Color Institute, Pantone research and development labs, and their many services visit Pantone About Us. In my ongoing search for resources describing successful approaches to Web design, I've found the same fundamental philosophy holds true when designing for the Web—hence the title of a new book by Brian D. Miller, Above the Fold. There are also some great call-outs woven throughout the book that serve as words to live by when designing for the Web, my personal favorite is, "Design is about having a plan. Web design is about having a backup plan." So true! Whether you're a designer (print/Web), programmer, or a client who's looking to develop an effective presence on the Web, Above the Fold will prove to be an essential resource and foundation for understanding this ever-evolving medium. My Design Shop describes it as "a different kind of Web design book. Above the Fold is not about timely design or technology trends; instead, this book is about the timeless fundamentals of effective communication within the context of Web design. It is intended to help you, the reader, understand the considerations that Web designers make when developing successful Web sites." Jean Peterson Design Turns 15 Years Old! 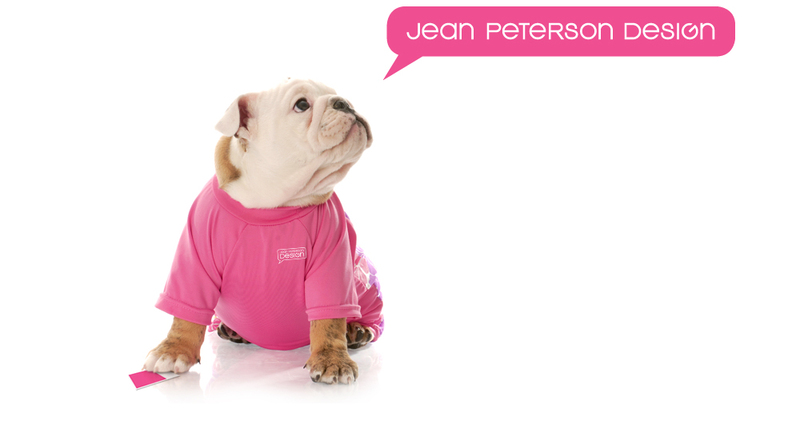 Happy Birthday Jean Peterson Design! Cheers to 15 years of Creativity. The 2011 American Advertising Federation-Greater Frederick (AAF-GF) recently celebrated their 21st ADDY Awards. More than 180 people were in attendance for the black-tie event held at the Holiday Inn. A total of 43 awards were bestowed to local advertising professionals. On top this year was Jean Peterson Design (JPD) taking away 15 awards which included the Best of Show Award, Judge’s Award, 13 ADDYs and the prestigious Crystal Prism and Silver Medal Awards. Emily Dorr, JPD’s Art Director, received the coveted Silver Medal Award. Chosen by the AAF-GF Council of Past Presidents, the Silver Medal winner is someone who has been active in furthering advertising industry standards and has shown responsibility in the area of social concern through community service. The recipient is also recognized for exceptional creative ability and making significant contributions in his or her workplace. Lisa Gorham, Senior Designer at JPD won the Crystal Prism Award. An honor bestowed on an AAF-GF member who has demonstrated outstanding commitment and leadership to their club. A member is selected by the board of directors for his or her long-standing dedication and ongoing support of the federation through personal and professional contributions. and a JPD self promotion. The mission of the ADDY competition is to recognize and reward creative excellence in the art of advertising. The local AAF-GF ADDY Awards are the first step in the American Advertising Federation’s three-tiered national competition. Winners from the local level compete in District Two (New York, New Jersey, Pennsylvania, Maryland, and Washington, DC); those winners go on to compete in the AAF national competition. The ADDY Awards is the advertising industry’s largest and most representative competition, attracting over 50,000 entries every year in local ADDY competitions. The ADDYs represent the true spirit of creative excellence by recognizing all forms of advertising from media of all types, creative by all sizes and entrants of all levels from anywhere in the world. It is the only creative awards program administered by the advertising industry for the industry. Because it begins at the local level, the ADDY competition offers entrants an opportunity to compete with their true peers – not only those across the country, but across the street. Congratulations to all of the 2011 AAF-GF ADDY winners! “What are the top tips you would recommend to promote your business online for local search?” I get this question a lot. 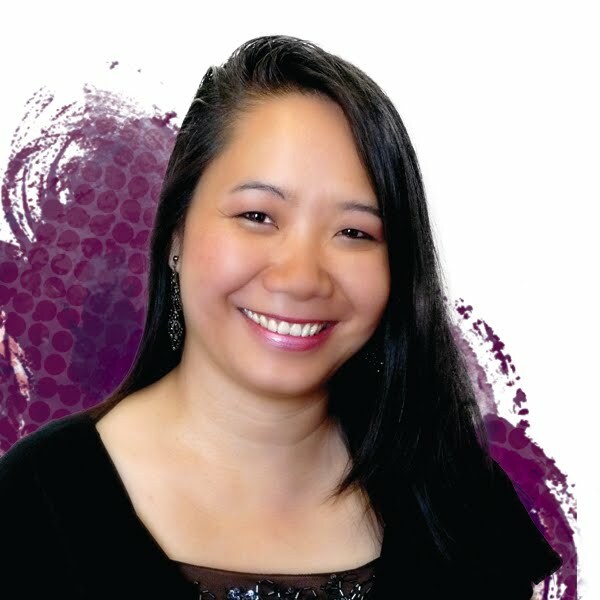 My response changes month to month, but this is what I have put together for 2011, and now I am finally going to share the secrets of getting your site promoted very quickly online using numerous free and low-cost methods. For customers to find you online in today’s world, the below list is essential, not just optional. Once these items are completed, you need to follow up on each one. Check your ratings and make sure you update your specials to get the greatest ROI for your investment of time. This is by far one of the most important places to register your business. Google Places powers Google Maps, Google Search, Google Hotpot and soon Google Promotions (Groupon competitor). I cannot stress how important this is. Google represents 66.6% of market share (comScore December 2010). Want to have your own business show up within Facebook Places? For companies that have a physical location, it makes sense to be included in Facebook Places in order to track the people who are stopping by your store, office or venue. It’s a quick process and allows you to promote your site via Facebook. This is essential as you will be able to reach out to 500 million users. Using Facebook Places will also allow you to promote your business to local users as they check-in. Ensure your business listing is accurate and complete with all those GPS devices, and on Yahoo, Bing, AOL, Ask and Google. Express Update is a service of Infogroup, the primary data provider to top search engines. According to their website, the data supplied to this service accounts for 97% of all search queries, 90% of in-car navigation systems and 90% of mobile devices. There is no better method for business owners to reach out to so many distribution networks than Infogroup. With 25% of online businesses listed inaccurately, this system will not only help you provide correct information about your business, it will attract customers to your location and, more importantly, bring them in. Another option would be to use Universal Business Listing. The costs are minimal but will worth the results. This new tool is a continually-improving collection of questions and answers created, edited and organized by everyone using it. Quora has the power to connect to Tumblr, WordPress, Twitter and Facebook, and will create a great digital footprint for your business. If you’re looking at ways to become a subject-matter expert, and build traffic and leads, Quora just might be what you are looking for. The number of backlinks to a site is an indication of the popularity or importance of the particular website to which it is linking. Backlinks are extremely important for Search Engine Optimization (SEO) because search engines use them as one of many methods to decide whether a website is worthy of first-page results, or as I say, placement on “The Golden Page.” When finding backlinks, you should only use sources that have a high Google Page Rank and get high traffic. Having a few links from good quality sites versus thousands from low quality sites makes all the difference. Go for quality, not quantity. This local system works much like Google Local. However, Yahoo Local offers a free basic listing system and enhanced listings. The free listing system will get you listed in Yahoo, but will not allow you to upload company logos, photos or gather reporting statistics. Yahoo Local tightly integrates with the Yahoo search engine and is highly recommend for all businesses. If your business is located in the UK or Ireland, you can use Infoserve. As Bing grows with market share, it is important for your business to have a presence where your customers are located. Microsoft has created a free system called Bing Local. When you register with Bing Local you will be able to put in your address, phone, website, email address, hours, payment methods, up to 10 photos, and additional information about your business. With Windows and Internet Explorer (IE) being the dominant Operating System (OS) and browser, respectively, and with Windows Mobile 7 on the verge of deployment, Bing Local needs to be on your to-do list. Websites are using more and more social networking integrated tools, so it is extremely important to use an email signature whenever you post a response to a topic within your realm of expertise. Not only will this help build backlinks, but it will allow users to have easy access to your contact information wherever you leave a digital footprint. This also goes along with adding a great email signature on the bottom of every email. You can also add a call to action in your signature—just don’t overdo it. Yelp is a way to build exposure, monitor public opinion of your brand, and research what your local community wants from a business in your industry. Yelp is free to use, making it one of the most popular review sites on the web. There are currently 9 million local reviews in Yelp and 85% of them have a rating of 3 stars or more. Yelp is a great way for businesses to share information and build credibility in the local area. We all have heard of LinkedIn and, chances are, if you are reading this blog, I can almost guarantee you are part of LinkedIn. LinkedIn has well over 10 million users and, of those, half are comprised of unique business users. Chances are if you Google your name or company name, LinkedIn will show on the first page of the search results. Take the time to update your personal profile along with your business profile. If you are a Twitter user, connect Twitter to LinkedIn to help syndicate your news. Is your company doing something that is newsworthy? More importantly, when you send out this newsworthy information online, are you using SEO keywords that may drive traffic to your site? Businesses should always submit press releases to companies like PRWeb.com and PRLeap.com. Be sure to use great headlines and teasers to help drive traffic and readership. Also, make sure you put a link to your site and your local address to help with localizing your content. YellowPages.com (AT&T Advertising Solutions) has a strong brand name and recognition in the United States. Many people still use YellowPages.com as a primary source to filter service-based companies and read reviews. They offer a few levels of listings for free, but you may want to read about their paid options as well. Many of our clients use this service to generate local traffic and it usually is one of the top 5 referrer sites. When you’re finished, don’t stop! Using the site promotion resources above is an ongoing process. Once you have made your initial submissions, check back monthly. You may find that some of your edits did not take or that you may have new information to add about your company. You may have to resubmit your site data to some of the items above. Most importantly, always be on the lookout for new sites that offer promotional opportunities. As I wrote this article, I was introduced to the new Google Hotpot. You never know what the future has in store for online promotions! Recently Starbucks, the infamous coffee house brand, decided to drop it’s name from their logo. It got me thinking, at what point does a company or a marketing and advertising department decide that the company is so recognizable and the brand mark is so strong they can drop the name all together? And what companies have successfully accomplished this name dropping? Turns out that it isn’t because the company is elitist or that the brand managers just arbitrarily make this decision. There are good reasons and a lot of research goes into making and executing such a change. For the most part the company is recognized internationally or is headed in that direction. The biggest reason however is that the company is expanding into new markets with regards to products and services and wants the general public to recognize them for more than how they got their start. Starbucks for example sells tea and is expanding into wine as well. Another reason companies go nameless is they want the experience with the brand to be more personal and less about what they sell. Apple is a good example, the word alone can make you think of the ripe red fruit and not the uber cool tech products synonymous with the symbol. In the end, with any logo change whether it be dropping the name or changing the design, it is always done in the name of evolution. Here are a few companies who have dropped he name over the years. 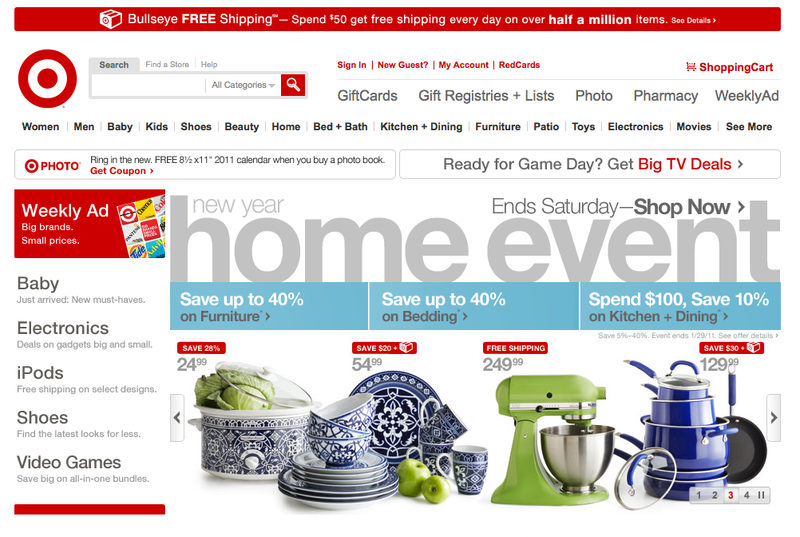 Target – Biggest thing to note here…no name anywhere on their website! Side note: The auto industry is one of the largest markets where virtually all companies can be recognized by a symbol. This is possible because of product design and integrating the brand into the product. Now try your hand at guessing the brand behind the nameless logos! There are so many fantastic books and reference materials out there that graphic designers use on a daily basis for guidance, education, and inspiration. So many in fact that Jean Peterson Design decided to introduce the JPD Book of the Month blog post. Once a month a JPD Creative will blog about one of their favorite books. Much like a book club, our goal is to reveal what inspires us and to spark discussions about these books and others that you the reader might suggest to us. 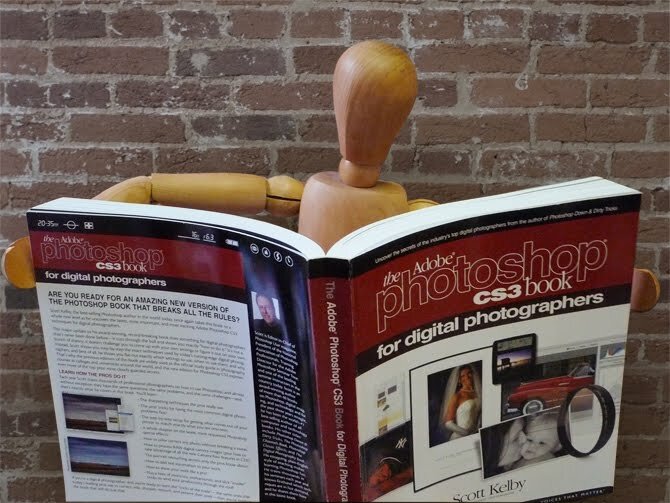 A Photoshop book this fantastic could have come from only one source, Scott Kelby. Kelby is editor and publisher of Photoshop User Magazine, editor-in-chief of Layers Magazine, president of NAPP - National Association of Photoshop Professionals, and founder of KelbyTraining.com. Clearly Kelby is a master when it comes to this Adobe product. How to color correct any photo in just three clicks with the included gray card. How to master CS5's new Content-Aware Fill. Processing High Dynamic Range (HDR) images using CS5's new Merge to HDR Pro. A special bonus chapter with Kelby's own Photoshop CS5 workflow. Plus, shortcuts, workarounds, "insider" tricks, and killer tips to send your productivity through the roof! I have suggested this book to many of my peers and suggest it to you if it isn't already in your arsenal. The best price for a new copy that I have found is on Amazon for $34.64, or for Kindle users, $14.39. The logo will not be made larger. All Pantone charts will be united as one. All photography will not be stock. That all browsers will be created equal. Contact information will not be put in web banner ads. Google will not use my private information against me. I will not have to recreate someone’s bad design (logo, ad or otherwise). Apple will outsell the PC. Microsoft Publisher will be rendered obsolete. Sponsor logos will not be included on all collateral. The reply email will be read in its entirety before responding. Microsoft Word & Powerpoint will not be used as design programs. I will be the art director. On a personal note, I have a dream that I will complete the Ironhorse Bicycle Classic in May and maybe meet Lance Armstrong if he is there (wishful thinking). It’s that time of the year again…competition season! Here at JPD we’ve been going through ALL of our work from the past year to determine what best represents creative excellence in advertising for entry into the American Advertising Federation – Greater Frederick’s 21st Annual ADDY competition. Let’s be honest, it’s nice to receive awards for the time and effort we put into the work we love to do everyday. We’re competitive and of course, we want to know how we stack up among our peers, but at the end of the day, it’s even better to get the exposure for our clients! An award not only garners our clients’ recognition locally, but regionally and nationally in some instances. One of Jean’s most favorite things to do is to make that call on the Monday morning following the ADDYs to let a client know they’ve WON! Last year Bookmarks , the Frederick County Public Library’s quarterly newsletter, won BEST OF SHOW at the AAF-GF’s ADDYs (watch to hear what the judges had to say about why they chose it!). After winning in our local competition, Bookmarks went on to win at the AAF District 2 ADDY Awards , along with the Canapés Catering website, among some stiff competition from big advertising agencies and big budgets throughout Maryland, the District of Columbia, Pennsylvania, New Jersey and even New York! In addition to the ADDYs, JPD regularly enters in a number of other national design competitions throughout the year including, the American Graphic Design Awards presented by GDUSA, HOW Design, the Healthcare Advertising Awards sponsored by Healthcare Marketing Report, and LogoLounge. We wonder what this year has in store? Hmmm…Who and what could possibly bring home the coveted BEST OF SHOW ADDY this year? The big event is on Saturday, February 26, 2011. Check back occasionally, we’ll be sure to keep you posted! 2010 was a fantastic year! We can't wait to seeing what 2011 has in store for us. As with each new-year comes new year resolutions. According to Wiki, "A New Year's resolution is a commitment that an individual makes to a project or the reforming of a habit, often a lifestyle change that is generally interpreted as advantageous." We don't usually make resolutions, but we're mixing things up here at JPD... starting now! Who among us will succeed and who will not? Bets anyone? Let us know who you're betting on, take the JPD resolution success rate poll below. Jean Peterson » Give up smoking cigars.....(again). Emily Dorr » To use more serif fonts in 2011-I’m sensing a trend toward the classics coming on. Briana McPherson » I will not procrastinate...starting next year. Lisa Gorham » My resolution is to be the Font Master. I will study one FONT out of my new FontBook each day, until I am ALL font knowing and ALL font powerful. Erin Tinney » I vow to simply listen to more music again in 2011—as a way to recharge, refuel, and refocus.